http://www.Seiko7A38.com/Seiko7A38-UserManual-Scan.pdf (a link is included on our 'Other Links' page) .... You might well ask. how to set day date on seiko 7a38 Try it yourself: Google search (Belated edit: this topic is now the first result returned). The visitor from Larbert in Scotland certainly had a good look around the forum, but I'm not convinced he found the answer he sought. Perhaps it ought to read: the auto day change-over might never work again ! 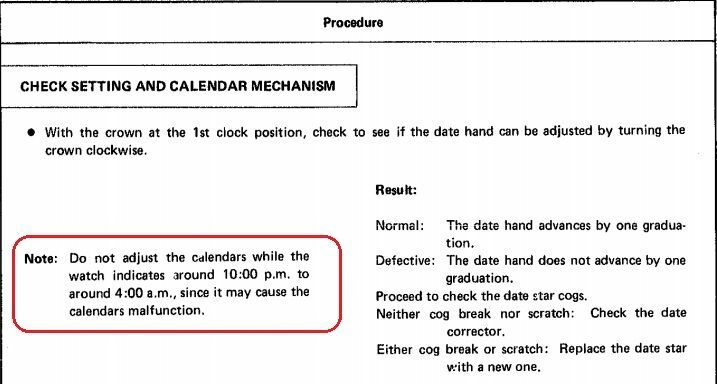 You can of course change the day / date (as on any watch) by advancing the hands through 24 hours (or more) by turning the crown. 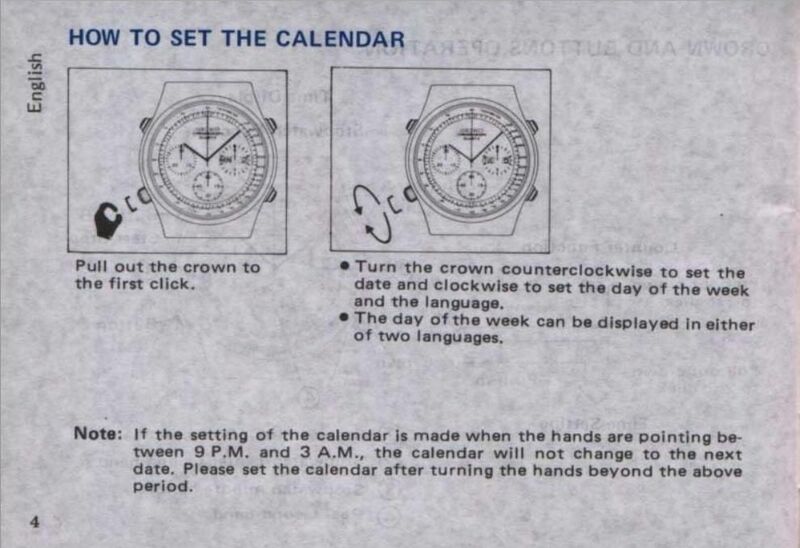 But the Seiko 7A38 has a 'quickset' day / date feature - as shown on page 4 of the instruction manual. It's one of the more modern features that those of us who love these watches appreciate. It is also the watch's Achilles Heel. 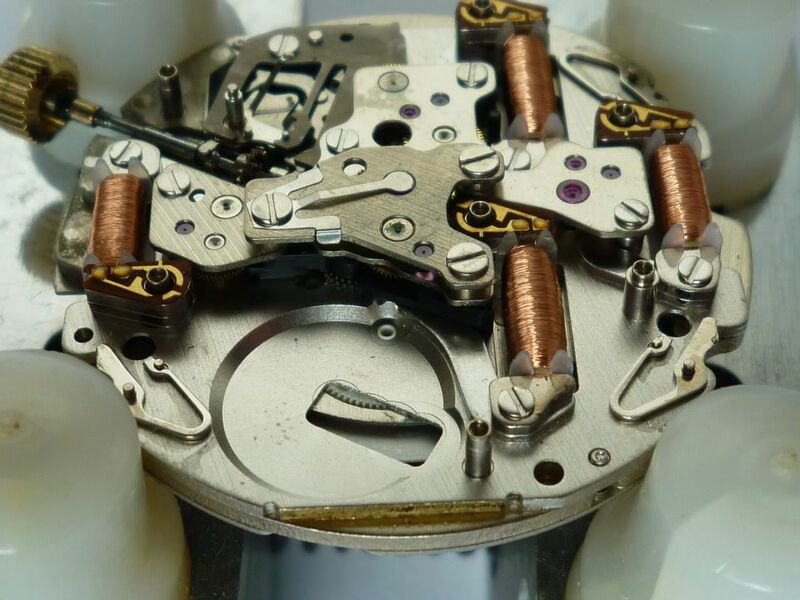 If you read on the 'Net elsewhere about Seiko 7Axx's, you'll sometimes see the phrase 'All Metal Gear Train' touted. I've used it myself in eBay listing descriptions. It's not strictly true. 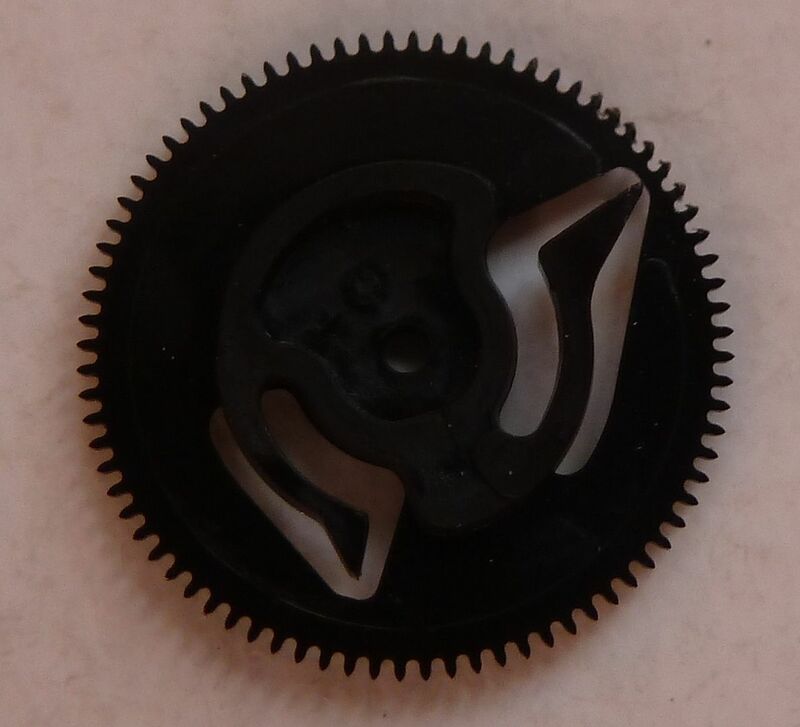 There is one plastic gear in a 7A38 - the Day / Date driving wheel (Seiko part # 867.725). It is the weakest link. 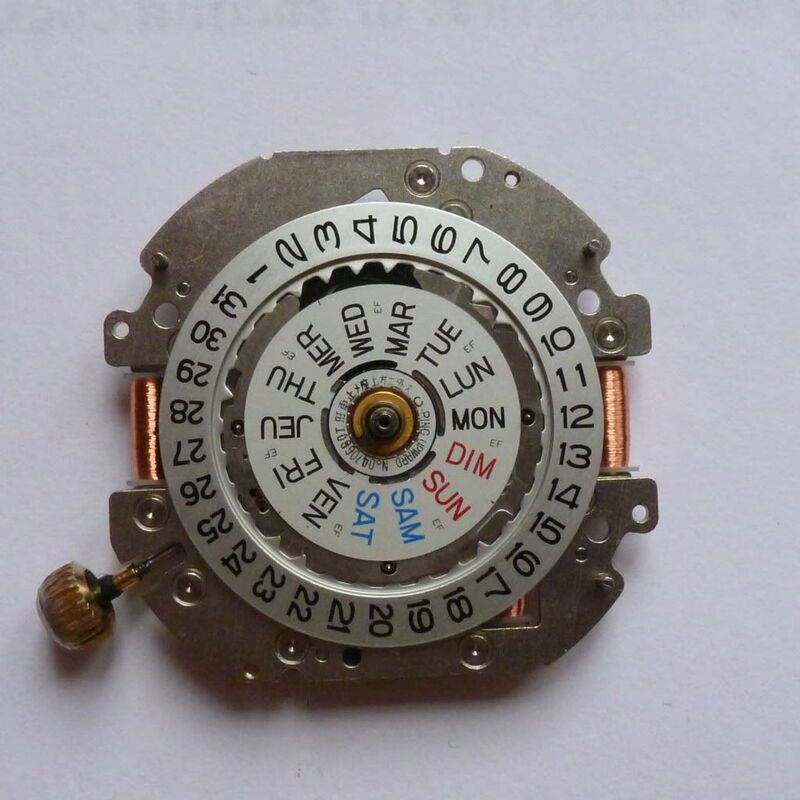 Here's a few of Simon's photos, showing the day / date wheel, which I've borrowed from another thread. I'm sure he won't mind. 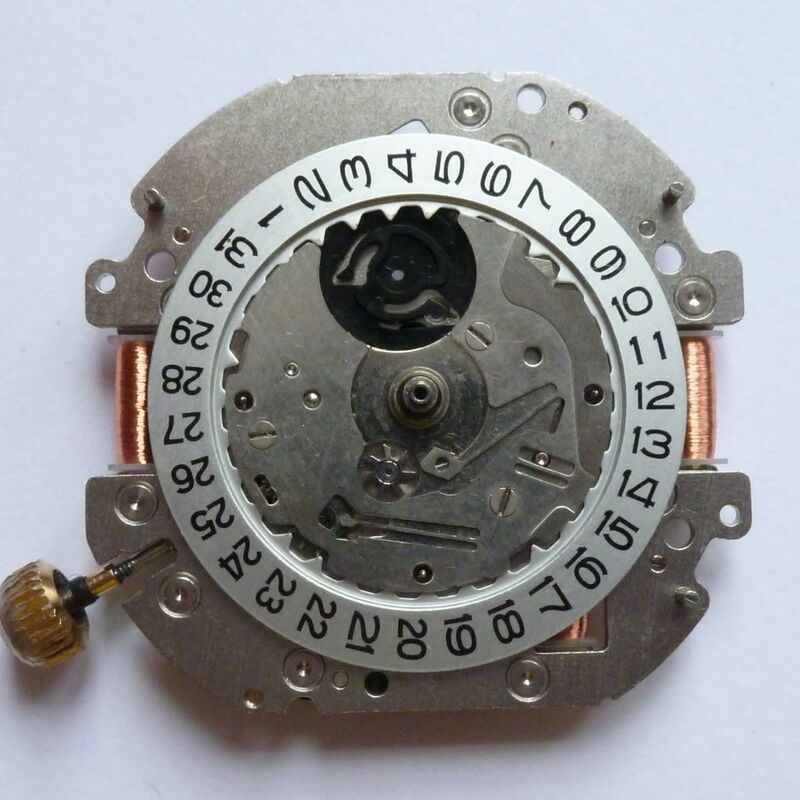 But also it's position relative to the battery (on the other side of the movement) which makes it potentially even more vulnerable. 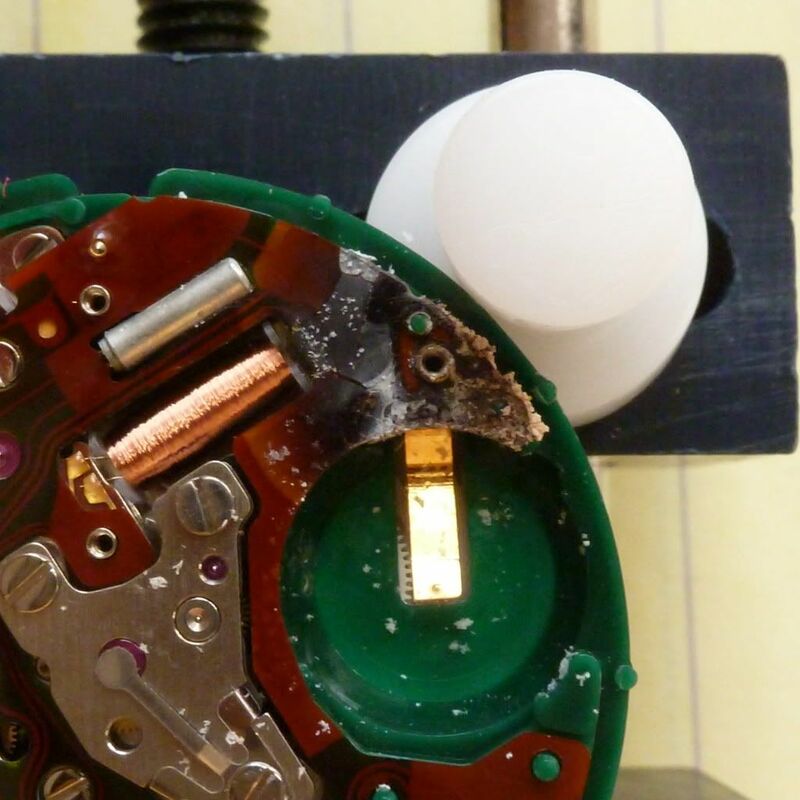 So any prolonged leakage of either fluid or fumes from an old run-down battery could also easily weaken it further, by making it brittle. 11:00 PM Date wheel starts to move and is usually completed by 00:30 AM (the following day). 01:00 AM (previous) Day starts to move. By 01:30 AM changed to 'alternate' language; by 02:30 AM the Day changeover is complete. 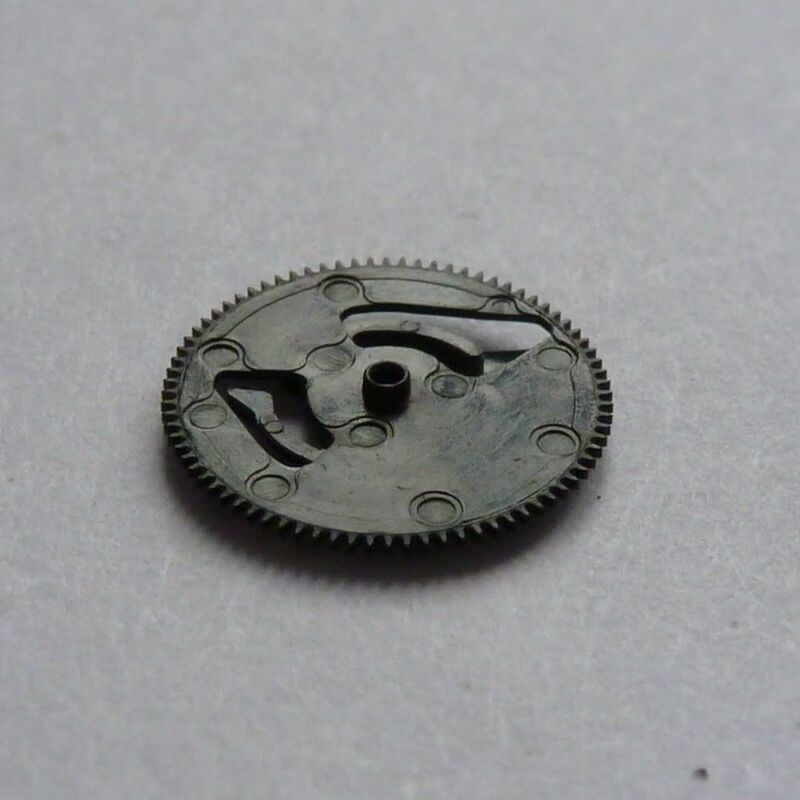 I'm not entirely certain how it works (it's obviously not possible to see with the day and date display wheels in place), but those two thin lever arms on the plastic day / date driving wheel engage the teeth on their respective wheels during this change-over period. 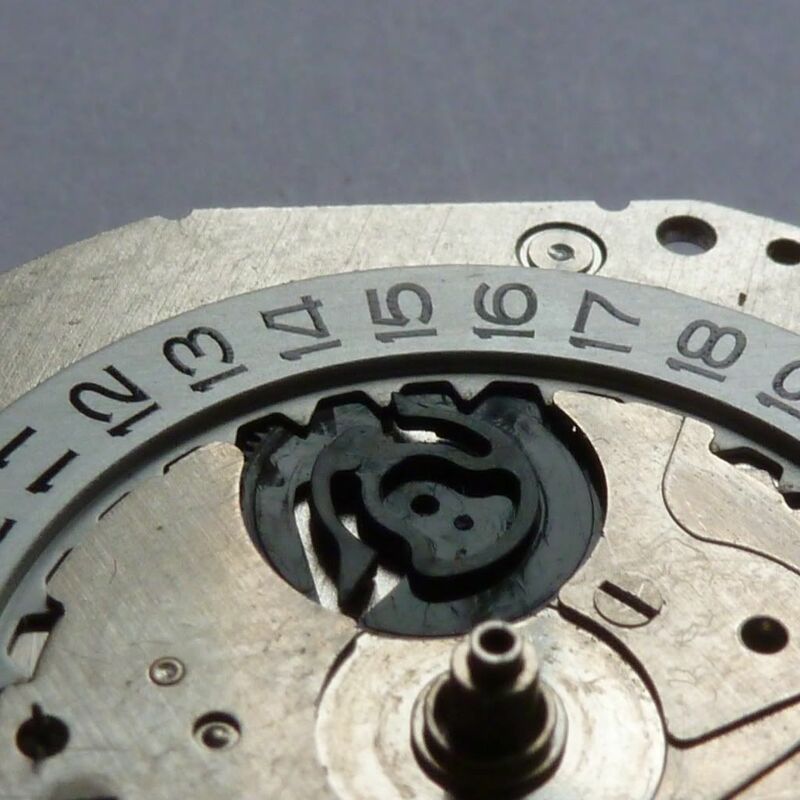 Thus common sense would tell you not to mess wiith the day / date settings, using the crown's quickset mechanism between these times. Rule #1 when setting 7A38's - NEVER mess with the day / date quickchange between 11:00pm and 3:00am. He read it 3 times - so hopefully he got the message, if not the instructions on how to actually go about it. Once you're out of the 11:00pm to 03:00am 'danger zone', it takes only a matter of seconds to reset the day / date using the quickset. 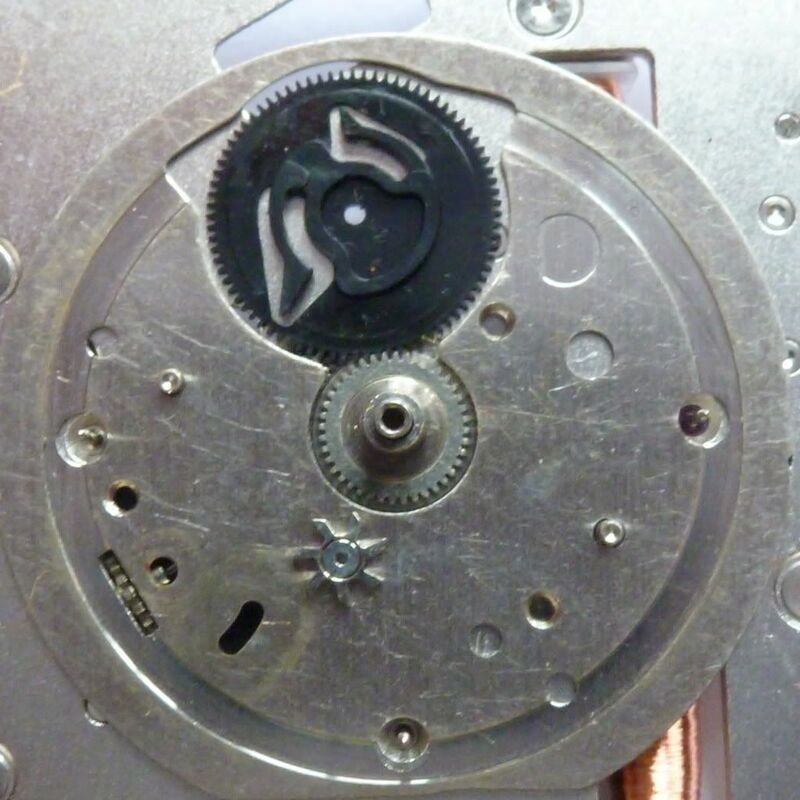 It takes rather longer to remove the movement; pull the hands; remove the dial and day / date wheels to replace a broken drive gear. Funnily enough, at the weekend I had to refer to the Seiko 7A48A Technical manual - probably the first time I'd read it properly. Yet no such warning appears in the 7A38A Technical manual, where it's really needed. What makes this warning seem more pointless and misplaced is that the date driving gears in a 7A48 are metal - not plastic. 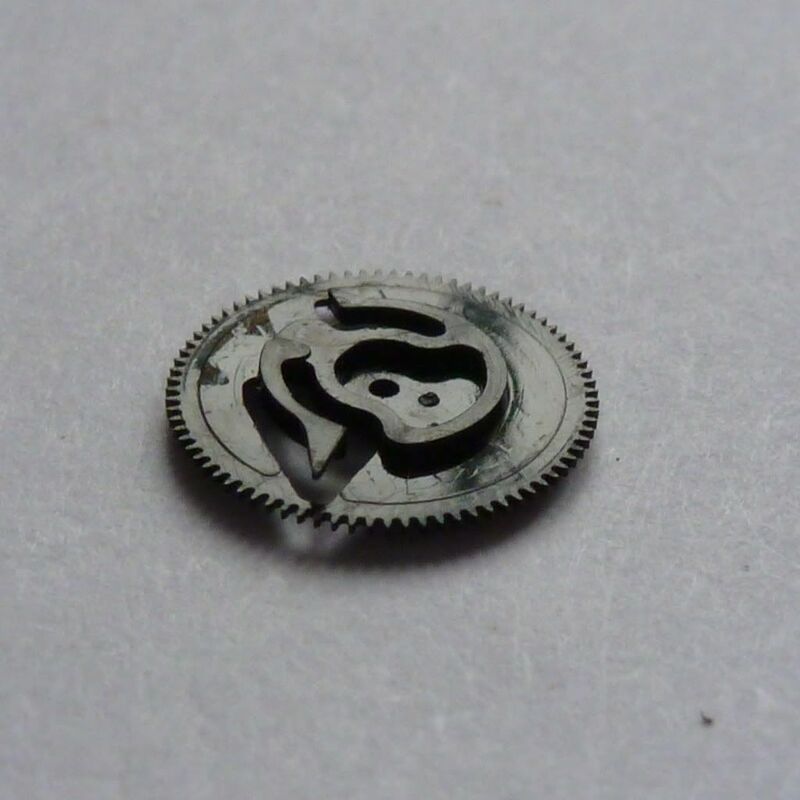 There is one plastic gear in a 7A38 - the Day / Date driving wheel (Seiko part # 867.725). It is the weakest link. Unfortunately the part is now officially 'discontinued' by Seiko and no longer available from Cousins UK. Another very good reason to exercise care when setting the Day / Date on a 7A38.